Katy Perry and Orlando Bloom could make their red carpet debut next month. | HELLO! Will Katy Perry and Orlando Bloom make their debut at the Met Gala? April 18, 2016 - 14:37 BST hellomagazine.com Katy's told her date they're not allowed to kiss! Are they, aren't they? While everybody in the world is convinced Katy Perry and Orlando Bloom are enjoying a romance, they stars themselves have yet to confirm their relationship status. They were spotted partying together at Coachella at the weekend, and sources told US news outlets they were happily kissing in front of their fellow festivalgoers, but there's still a question mark hanging over their beautiful heads. However during a recent interview, Katy, 31, has suggested she and 39-year-old Orlando will make their debut as a couple at the Met Gala, which takes place next month. 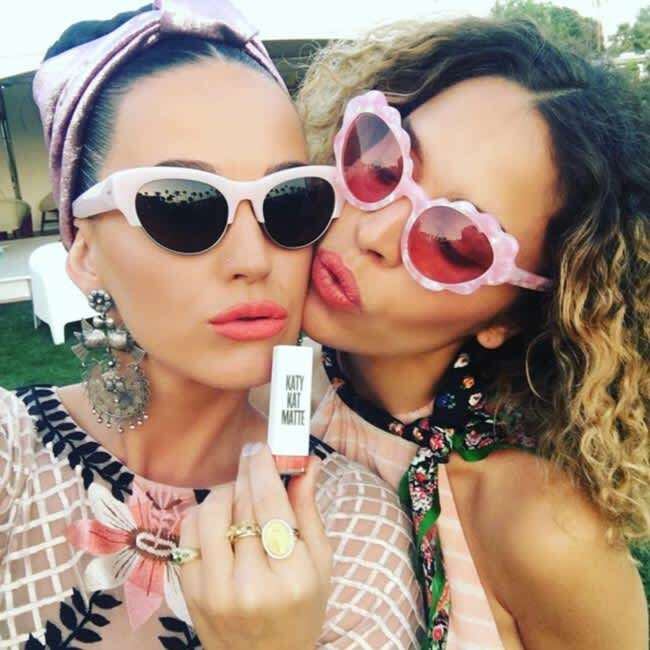 The California Girls singer was promoting her new lipstick range and, when asked what she'll be wearing to the prestigious fashion event, she told Vogue: "I'm going to be wearing [a shade called] Perry Panther to the Met Gala, and it's going to be amazing – it's black, it's different. "It will be really fun, and it's super fashion, you know – you see a lot on the runways these days. I already told my boyfriend we will not be able to kiss, unless he wants black lips! It would also be cool to do the Perry Blue mascara with a black lipstick and just shape the brow." While that's still not quite confirmation, Katy and actor Orlando have been spending a lot of time together recently, which makes it very likely he's the man in question. Last month an insider revealed to E! News how Katy and Orlando had finally made their relationship official. The source said: "[She] likes how down to earth [he] is. They seem to be getting serious and are an official couple. She calls him her boyfriend." We can't wait to see Katy and 'her boyfriend' on the red carpet next month! Katy Perry has some very exciting fashion news!